Once a planning unit adopts land use regulations, it must establish a Board of Adjustment which can be made up of 3, 5, or 7 individuals appointed by the Mayor and approved by the City Commission. The Board is considered a “safety-valve” to make a zoning plan workable. The board makes decisions regarding variances, conditional use permits, non-conforming uses, and administrative review. A Variance is a departure from dimensional terms of the land use (zoning) regulation pertaining to the height, width, length, or location of structures, and the size of yards and open spaces where such departure meets the requirements of KRS 100.241-100.247. Conditional Use means a use which is essential to or would promote the public health, safety, or welfare in one or more zones, but which would impair the integrity and character of the zone which it is located, or in adjoining zones, unless restrictions on location, size, extent, and character of performance are imposed in addition to those imposed in the zoning regulation. A Conditional Use Permit is legal authorization to undertake a conditional use, issued by the administrative official pursuant to authorization by the board of adjustment. A Non-Conforming Use or Structure is an activity or a building, sign, structure, or a portion thereof which lawfully existed before the adoption or amendment of the zoning regulation, but which does not conform to all of the regulations contained in the zoning regulation which pertain to the zone in which it is located. Finally, the board of adjustment shall have the power of Administrative Review to hear and decide cases where it is alleged by an applicant that there is error in any order, requirement, decision, grant, or refusal made by the administrative official in the enforcement of the land use regulations. Such appeal shall be taken within thirty days (30). The Maysville Board of Adjustment meets on the 2nd Monday of the month at 5:30 p.m. in the Maysville Municipal Building. 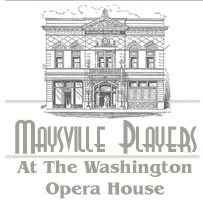 Staff liaison is George Larger who may be contacted for variance requests and other information at 606-564-2719 or georgelarger@maysvilleky.net.